Posted on 10/11/2016 by Parklifer	in Live Review and tagged 9:30 Club, Australia, dance, indie rock, The Temper Trap, Thick as Thieves. Rewind furiously back to 2009 when The Temper Trap first released that song, when it was played everywhere, then step into the DC9 nightclub where it made the DJ rotation every week during the seminal Liberation Dance Party. In the Golden Age of Liberation (as one might say), “Sweet Disposition” was definitely among the best in class, including the frenetic video of rollerskating through the cosmos. It represents a moment of DC’s past, that can be remembered fondly. 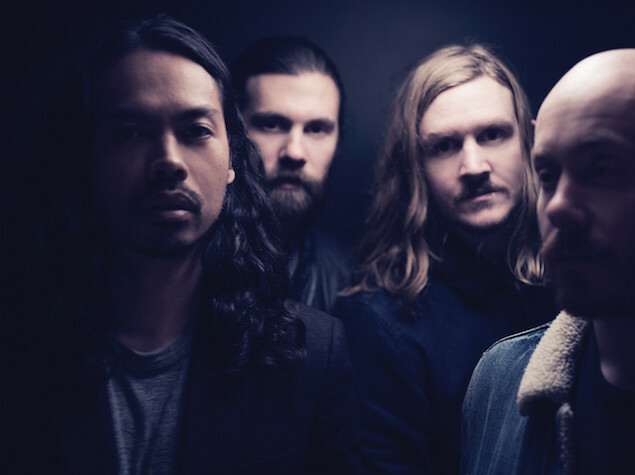 Now fast forward back to The Temper Trap’s show and tour in 2016. They are touring for their third album, Thick As Thieves, their first since 2012. It’s been awhile, but the new songs are a solid barometer proving they still have some fire in them. In fact, they played a whopping eight (out of 11) songs from that album. They also focused on their first album, Conditions, taking us along for the ride with six more dance-worthy songs. Conditions had quite a few highlights beyond “Sweet Disposition”, including the third song of the night, “Down River”. It may have been designed specifically for all those listening to shout in unison at the top of their lungs during the chorus. Since half the 16-song set was about Thick As Thieves, let’s look at a few of the stronger songs, from a mostly excellent album. “Fall Together” is hooky and builds to a crescendo of dance possibilities. “Alive” drives home how despite everything, it still feels good to be alive. “Summer’s Almost Gone” is a reluctant song about loss, while “What If I’m Wrong”, played during the encore, is easy-paced and nicely highlights Dougy’s falsetto voice, but I’m not quite clear what the lyrics mean. Mysteries are sometimes good. As a four-member rock band, The Temper Trap is from Australia and first formed in 2005. Besides Dougy Mandagi (vocals and guitar) the band is Jonathon Aherne (bass), Toby Dundas (drums) and Joseph Greer (keyboards). After listening to Thick As Thieves a few times, I hope they don’t wait another four years before releasing their next album. Make sure you catch them next time they swing through DC. And don’t worry about what year it is, go back and listen to “Sweet Disposition” again. You know you want to.